Musicals have flourished in 2018, with many young stars also helping to sell out straight plays in which they appeared. However, the contemporary drama scene in Japan has been unusually quiet this year in terms of new works and writers. It is fitting that Keita Asari—whose business sense and enthusiasm pioneered the musicals genre here through the Shiki theater empire he founded—could relish that success before he died in July aged 85. His journey began in the early 1970s when he began staging Broadway and West End musicals with Japanese casts. Then, by opening theaters nationwide, he created his own circuit that freed him from risk-averse producers and the short-fixed runs they insisted upon. As a result, The Lion King—which Shiki premiered in Japan in 1998—is still being staged in Tokyo and elsewhere. 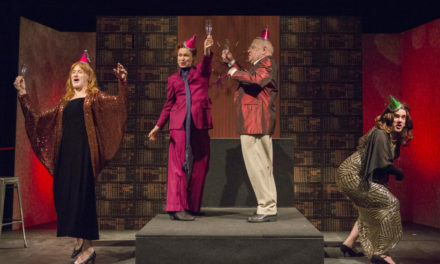 Although risk-averse thinking still dominates straight theater—ironically giving its audience base little opportunity to expand—this year saw a marked uptick in successful productions being restaged soon after their opening runs closed. And, as another bonus, many were improvements on the original productions. There were, however, two standout new productions this year as well. First up was 2015’s Tony Award-winning Fun Home, directed by Eriko Ogawa, which warmed up winter with its open-hearted take on a storyline involving a teen’s emerging issues with sexual identity and her father’s attempts to suppress his own. In summer, along came the English maestro of musicals, John Caird, who first brought his Les Miserables to the Imperial Theatre in Tokyo in 1987, where it’s still in the repertoire. This time he presented the world premiere of his new work, Knights’ Tale, at the same venue. With its text translated by his wife, former actress Maoko Imai, the tale of a warriors’ bromance riven by their mutual love interest sold out long before it opened—no doubt in part thanks to its handsome lead actors, Koichi Domoto and Yoshio Inoue. 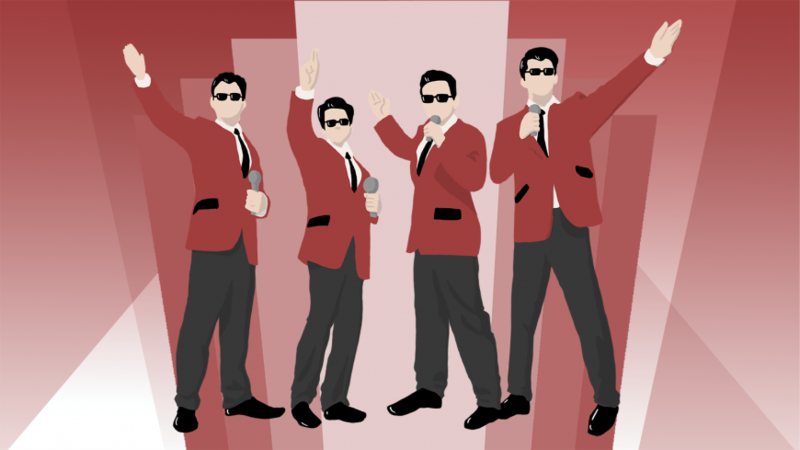 Otherwise, reprises dominated the year, with the jukebox musical Jersey Boys—about 1960s U.S. pop band The Four Seasons—returning after two years for 50 shows in six cities with Shuntaro Fujita again at the helm. In a standout year for him, he also staged a rerun of 2016’s Take Me Out, based on the 2002 West End musical about racism and homophobia on a baseball team. And now Fujita, 38, is set to start the new year directing 1997’s off-Broadway hit Violet at the Charing Cross Theatre in London, with a British cast. Meanwhile, that theater’s artistic director, Thom Sutherland, has been a moving force here. His Titanic, with a Japanese cast, was a Tokyo musicals highlight in 2015—and sold out yet again when it was rerun this year. Perhaps as a spinoff from the lucrative musicals business, the usual practice of scrapping new plays in Japan after a handful of performances to ensure financiers don’t lose out is gradually changing. Instead, more producers and theaters are now giving successful works a second season soon after the first. Among those, this year was one of 2014’s best plays, Karumegi, a joint production by the Tokyo Deathlock company and 12th Tongue Theatre Studio in Seoul. Based on The Seagull by Anton Chekhov—and with a title meaning “seagull” in Korean—this powerful and timely piece by 12th Tongue’s founder, Gi-Woong Seong, returned to four cities in 2018. A greatly improved work was Sho Wo Sute Yo, Machi E Deyo (Throw Away Your Books, Rally In The Streets), an adaptation by playwright-director Takahiro Fujita of Shuji Terayama’s coming-of-age tale from 1968. This time, Fujita, 33, revised it to be much more refined and forceful—while 19-year-old newcomer Himi Sato’s captivating acting was a special bonus. Incidentally, Fujita also showed the scope of his ability with Me Ni Mienai Mimi Ni Shitai (Can’t See, But I Want To Hear That), his first original play for children that imaginatively appealed to the senses rather than the logic of reason. Back in Shibuya, Bunkamura Theatre Cocoon unusually staged not just one, but two particularly rousing revivals. First up was Ningen Gowasan (Call Off The Human) by Suzuki Matsuo, which lauded the simple life of its apprentice playwright hero in 19th-century Edo (Tokyo) in a version its author and director had brilliantly updated after a 15-year hiatus. The same Bunkamura venue also re-ran 2015’s Pluto, a tale of humanoid robot Astro Boy’s anguish, again directed by the Belgian dancer-choreographer Sidi Larbi Cherkaoui, who took the show to London, the Netherlands and Belgium as well. 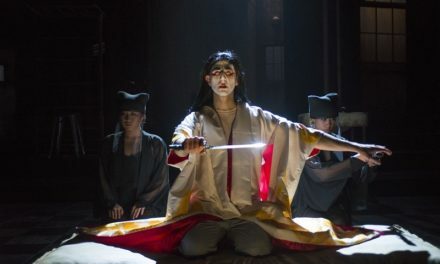 Under that umbrella, Yuichi Kinoshita’s Kinoshita Kabuki company staged a contemporary version of Kanjincho; while dramatist Hideto Iwai sought out a docu-drama form of theater about its actors’ personal lives in Wareware No Moromoro, a collaboration with the city’s Theatre de Gennevilliers. Iwai wasn’t just busy in France, though. He also oversaw a hit double-bill Tokyo rerun of his masterful, and deeply unsettling, autobiographical plays Te (The Hand) and Fufu (The Husband And Wife). 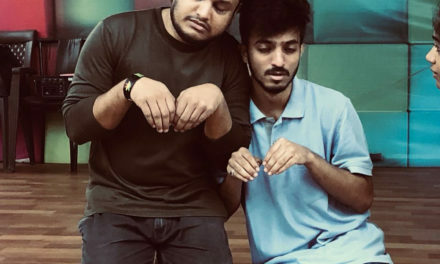 Finally, though people decry the rising generations’ supposed disinterest in current affairs, two new plays from young writers cast insightful light on politics and society. In Papa Wa Shikeishu (My Father Is A Death-Row Convict), Taku Narahara, founder of the Chari-T Kikaku company, examined the justice system in Japan from the viewpoint of a man who grew up in foster care, only recently discovering that his father killed his mother and grandfather, and now faces execution. Then in his new work Isan (Legacy), Takeshi Furukawa from the Chocolatecake Theatre Company evoked Unit 731, Japan’s wartime research center in China that carried out lethal experiments on living captives, to searingly question an individual’s responsibility within a collective and also the trade-off between an individual’s welfare and the potential for scientific progress to aid humanity. So all in all, the year now ending has shown audiences’ growing appetite for musicals, but also how revivals and reworkings of quality material allow productions of all sorts to shine again in a new light. Among the downsides, though, was a dearth of notable new playwrights. So it’s surely time for promising young talent to be nurtured in pursuit of similar long-term goals to those the late Keita Asari had for musicals. This article originally appeared in The Japan Times on December 11, 2018, and has been reposted with permission.